Congratulations to Flight Mongoose! They won a 2018 Sammie Award for “Best Indie Band”. I enjoyed mastering this song for the band. Tonic Zephyr received some radio play with their song Tie Dyed Grey. These 2 songs were mixed by Jason Alleyne in Barbados and mastered by me! Anarchy Lace received some radio play with their song “Circus of Lies”. Recorded and mixed @ J Street Recorders with Jack O’ Donnell and mastered by me @ Moon Tree Mastering. I had the honor of mastering the “Songs of the Gold Country” album in 2017! The majority of this project was recorded at Ravenwood Studios and mixed at Tanglewood Studios by John Morris with assistant engineer, Jarrett Aitkens. Recently, the song Poor Red’s and Tahoe Time were played on KVMR radio and the entire CD was played on KFOK Community Radio. Check out the latest EP from “West Matik” that’s called “89”. I mastered this album project recently for a former student of mine from Pinnacle College! 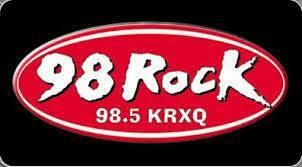 The song “Fire Signs” by the band “Surviving The Era” was featured on 98 Rock “Local Licks” several times. The song was produced by Jack O’ Donnell @ J Street Recorders and mastered by me @ Moon Tree Mastering. The band was nominated for a Sammie Award in 2017 in the Rock category. This was one of the first projects I mastered since opening…. Moon Tree Mastering. Great songwriting and production on this one! I mastered these 2 songs for the artist “Drone Unit’. I think they are both very catchy and well produced… The artist was a student of mine when I was working as an instructor @ Pinnacle College. I mastered this Hip Hop/Rap project for the artist “Pluke”. He provided me with a music stem and vocal stem to work with on this song to give me a little more control in mastering.